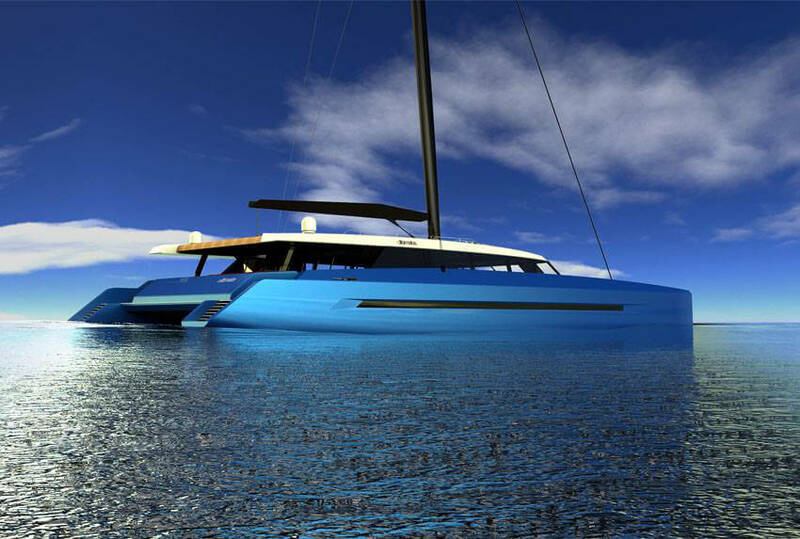 The Sunreef boat yard has unveiled its brand new 156 catamaran from the Ultimate range. 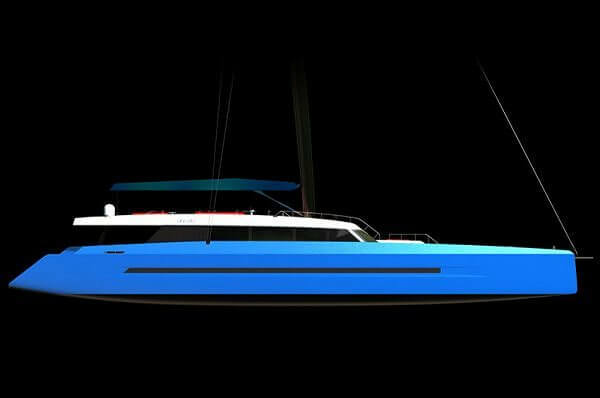 Based in Poland, Sunreef yachts initiated their new range of fast performance cruisers with environmentally friendly elements, in 2010, entitled : THE ULTIMATE RANGE. 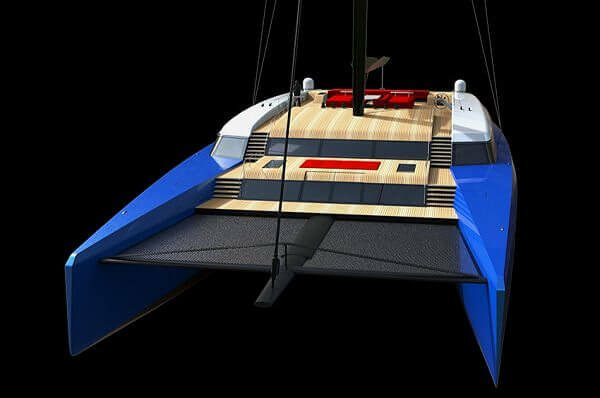 And just last year, the Sunreef design team created its largest project so far, from this range ; the Sunreef 165 Ultimate, and now with the introduction of this new 156 design, Sunreef yachts really are taking their ultimate range of superyacht catamarans to the next level. With a beam of 19m, the Sunreef 156 Ultimate features a superb saloon and a master suite on the main deck, which are in fact, significantly larger than their equivalents in the Sunreef 165 Ultimate. The Spacious 255 m² saloon displays a luxury dining space for 12 guests, and a stylish chic lounge and a bar. The master suite spans the full beam, at 65m², and contains a fabulous wardrobe space and his & hers bathrooms. The floor to ceiling windows and highly contemporary design using whitewashed wood, all combine to make it feel extremely light and airy.. The front double deck terrace (70 m²) offers a spacious entertainment area, accessible directly from the suite through sliding doors, and the highly commended upper terrace of 142m² offers a stunning relaxation space. Numerous sun pads, a trampoline and a dining table for 12 on the flybridge, all further enhance the offering to ensure that guests are happy and satisfied. 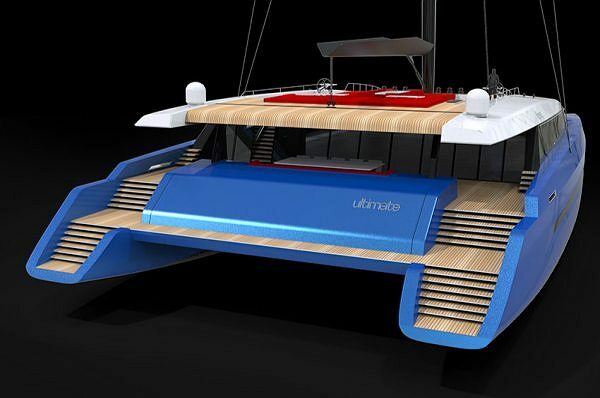 Sunreef 156 Ultimate is created for those who appreciate a glamorous lifestyle, an incomparable sailing experience and a perfect modern design.